500 people of eight local government areas under the Kaduna North Senatorial district are to benefit from Senator Suleiman Hunkuyi medical outreach programme before the year runs out. Senator Hunkuyi, who stated this during the flag-off ceremony at Ahmadu Bello University Teaching Hospital, Shika, Zaria on Monday said, the outreach became necessary owing to the health needs of people under his constituency. He was quick to call on the beneficiaries to avail themselves for the screening and subsequent treatment. According to the lawmaker, it took his team of medical experts 16 days to screen the beneficiaries which were carefully drawn from the eight local government of Zaria, Sabon Gari, Kudan, Makarfi, Ikara, Soba, Kuba and Lere. He said, “we are happy we are doing a programme that will directly touched the lives of our people. I just want to help those who are finding it difficult to take care of their medical bills by a way of visiting them in their homes and hospitals to know their exact medical needs. It is part of the fulfillment of my campaign promises to my people in this senatorial zone. “We are still going to extend it to other beneficiaries. Those that cannot be captured here would be considered immediately after the screening if these group of beneficiaries. It is a gradual process”. 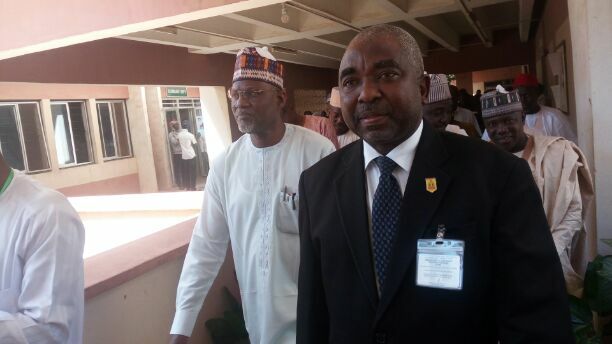 Chief Medical Director of the Teaching Hospital, Professor Lawal Khalid, who led the lawmaker and his team on the tour of the hospital said that, the intervention was the first of its kind in recent times, calling on other spirited public and private officeholders to join the train and help those who may not have the financial muscle to attend to their health needs. “We are happy to see this happening now. This is the first time a politician will be coming in practical sense to meet the health needs of his people in recent times. We hope others too will borrow a leaf from what we are doing here today. I’m very sure the beneficiaries are happy with what they are witnessing today”. The lawmaker however declined to mention the financial inclusion implication of the outreach programme, saying this was because the programme is an ongoing thing and it will be difficult to quote any figure until it is over.